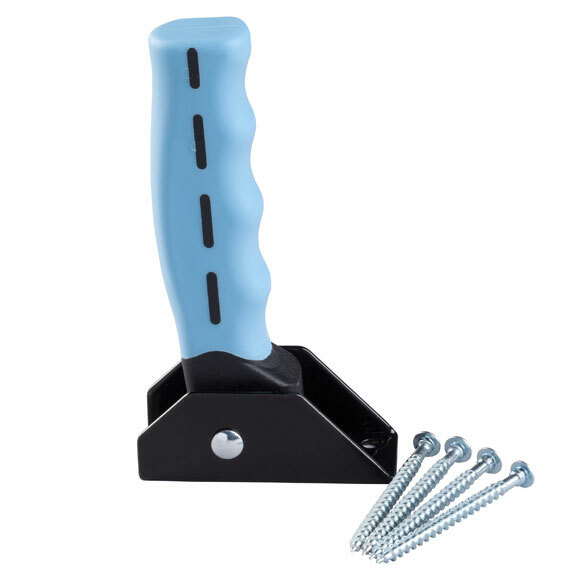 Flip down wall grip lends a helping hand at home. 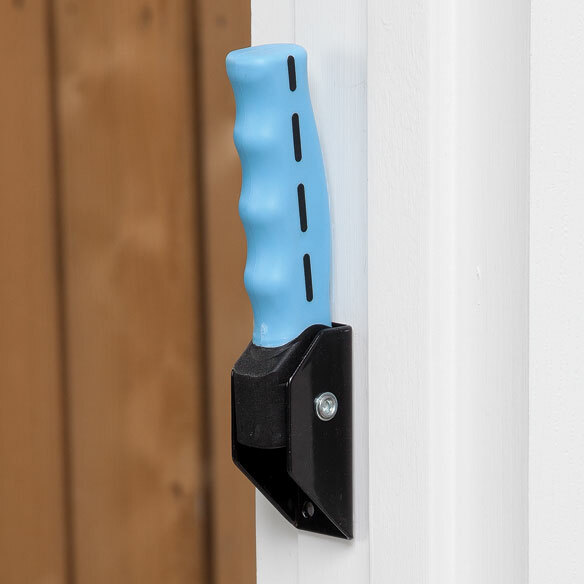 Ideal for steps near doorways or spaces too small for a grab bar, this durable, fold-out grip handle features a non-slip grip and glows in the dark for maximum visibility. It allows a user to both press down and pull for safety and stability with steps and transfers, then flips up and out of the way when not in use. Flip grip provides a highly visible, non-slip safe grip. Mounted to a solid-wood stud indoors or out. Safety grip measures 7"L x 2"W x 2"H.
There is one step into my back hall that is very hard for me. I need something to grab onto to help me get back over the step. This is what I have been looking for. WIFE NEEDS HELP GETTING OFF TOLIET. Parents need to go up and down steps into home. I need help getting up a step. We got one last week and it is superb! We have additional places to use this flip-grip. My husband has trouble getting out our back door and this device helps him alot - we have one already and needed another one for a post just outside the back door. Very handy. To put at a door location inside the house. When I step into my house from the garage I need something to help me get in the house safely. Necessary to get in back door. Has difficult time going up the door strip. To help my wife enter front door without tripping.